travel › Buy Poster of Woman Traveller In Airport Walkway. Travel Concept. 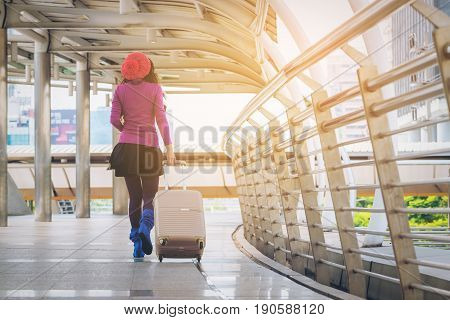 Poster of Woman Traveller In Airport Walkway. Travel Concept.